Exit the age of the celebrity influencer, enter the age of the micro-influencer. Now that brands understand the importance of influencers for their marketing campaigns, the industry has shifted toward influencers who have a smaller, more engaged following that yields more value in social media marketing. Unlike other industry definitions that look at a micro-influencer based on a hard and fast range of followers, I like to approach micro-influencers holistically: socially-savvy consumers with active online presences who love sharing their opinions with friends, family and followers. It’s about real people who live relatable lives and who have an authentic engagement with their social media followers. People trust people like themselves—they are the first to sniff out if a post is authentic or not. And nobody can achieve authenticity like micro-influencers. “A brand is no longer what we tell consumers it is: It is what consumers tell each other it is.”—Scott D. Cook, co-founder of Intuit and director of eBay and Procter & Gamble. User-generated content is a social testimonial: The same way people look for peer-to-peer recommendations before purchasing a product, they look to product reviews and UGC to get consumer insight on a product. According to Nielsen, online reviews are the most trusted source of advertising, after recommendations from peers. 70 percent of consumers rely on product reviews before making purchases, while 92 percent trust reviews over branded content. And based on an Experticity study, 82 percent of those who receive a recommendation from a micro-influencer follow the recommendation to purchase. Spiegel Research Center and PowerReviews found that even negative online reviews can be helpful, as retailers that display online reviews see conversion rates rise by as much as 270 percent. In addition, Bazaarvoice revealed that 45 percent of offline purchases are influenced by UGC. And even on sites that don’t sell, hosting UGC saw a 156 percent conversion lift elsewhere. By engaging micro-influencers, you are not only leveraging the level of trust between micro-influencers and their followers, you’re on the right track to generating high-quality, original content for your brand. 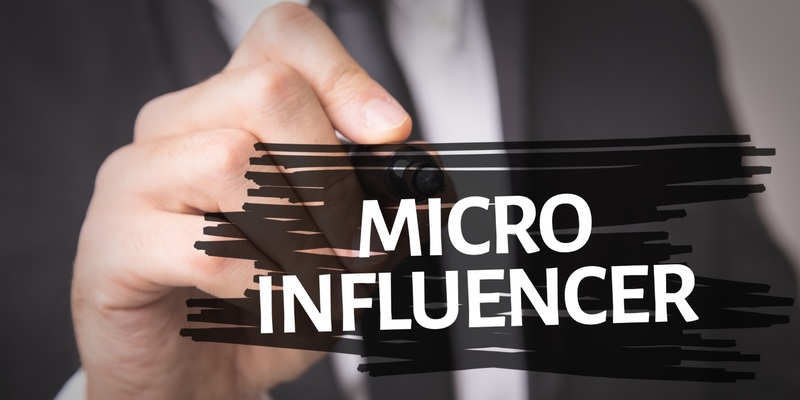 Micro-influencers have an authentic voice and create content based on their unique styles and genuine opinions that help to propagate buzz surrounding brand products and services. You can get your message in front the right target audience through the right micro-influencers. All it takes is a thoughtful strategy in place to find them. There are many ways to target micro-influencers to generate authentic UGC based on your unique campaign needs. Zeroing in on the right micro-influencers takes patience and precision. Beyond important demographics like age and location, you need to dig deep and understand the context behind why they make the posts that they do. Are these micro-influencers “adulting,” and are their followers at a similar life stage who empathize with them? Are they fitness buffs who are inspiring busy professionals to adopt a healthy and intention-filled lifestyle? Then ask: Are they relevant to your brand? Does your brand fit in seamlessly with their lifestyles? How would their followers react to the micro-influencer’s decision to talk about your product? Also, if you’re doing platform-specific targeting, it’s important for the micro-influencer to be well-versed in the space. An Instagram micro-influencer can be a good fit for your visually driven campaign, while a blogger might better-suited for text-heavier UGC that you’re looking to repurpose into quotes or testimonials. Once you understand these different moving parts, then you take the social score (more commonly known as “reach”) of the micro-influencer into account. When you take context, relevancy, platform strength and social score cohesively into consideration, you’d be better equipped to target and activate micro-influencers that you want to talk about your brand. Want to send urban millennials paper towels for them to test and make social posts about? Want to ship off the latest healthy snack to parents living in the outer suburbs to feed to their children and write reviews about their experience? These are all possible with hyper-targeting. It’s important to look at behavioral data either through your brand website or other proprietary machine learning technologies to connect the right consumer with the right product. For example, at Influenster, there are 4 million highly active members who provide valuable insights regarding their shopping behavior through writing reviews, engaging with products, connecting their social networks and answering survey questions on our platform. We then use billions of data points collected to train our machine learning algorithms through IBM’s Watson to create a comprehensive map of products, brands and micro-influencers. If you include micro-influencers as part of your digital strategy, you are sure to activate a whole portion of your target audience previously untouched by your other marketing channels. It’s important for you to adopt a relationship-centric approach from the very beginning of your micro-influencer strategy. If you build meaningful relationships with micro-influencers, you’ll be able to convert them into genuine social advocates for your brand. Whether it means hiring a community manager to manage relationships with micro-influencers for your brand or finding the right vendor solution to maintain the engagement, it’s important to think long-term when it comes to relationship-building with this power group of influencers. At the end of the day, it’s all about authenticity. Engaging micro-influencers only works if the content they create is authentic and resonates with their followers. Therefore, get to know your micro-influencers and their audiences intimately and you’ll take your digital strategy to the next level. Aydin Acar is co-founder and CEO of product discovery platform Influenster.